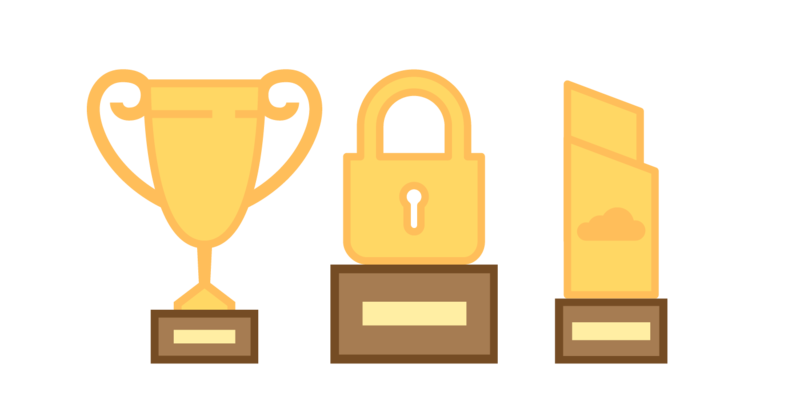 Our founders and our company Secomba GmbH have been rewarded with numerous awards and nominations for their innovative idea and Boxcryptor. Co-founder Andrea Pfundmeier makes it on the Forbes list 30 under 30 Europe in Technology. Secomba GmbH wins the German Founders Awards in the category “Start Up”. Winner of the Founders Award of the German economics magazine “WirtschaftsWoche”. 2nd place at the German “Darboven IDEE Förderpreis”. Finalist at the Bavarian Founders Award “Bayerischer Gründerpreis”. 2nd place and audience award at the German Telekom “Innovationspreis”. 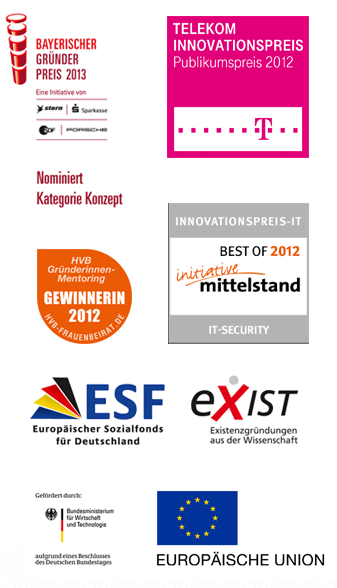 Awarded as one of the best 20 solutions in the field of IT-Security for SMEs by “Initiative Mittelstand”. Finalist at the NEXT conference in Berlin. Finalist at the London Web Summit. Our founder Andrea Pfundmeier is supported by Hypovereinsbank (Unicredit), with the HVB female founders’ award. Supported by the German Federal Ministry of Economics (April 2011 – March 2012) under the scope of the “EXIST-Gründerstipendium”. 1st Place at the Business plan competition “Businessplanwettbewerb Schwaben”.